Welcome to our first edition of the Mundelein Community Connection Newsletter. Mundelein Community Connection (MCC) is a not for profit 501(c)3 organization dedicated “To organize events that foster community pride and promote an active, vibrant community”. There are a number of comfortable, homey, locally-owned food and beverage establishments in Mundelein. A few give you that “Cheers” feeling, where it seems that: “Everyone knows your name, and they’re always glad you came”. 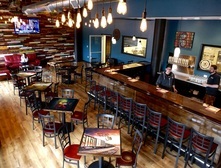 One of Mundelein’s unique “neighborhood” get-away spots is Tighthead Brewery, 161 N. Archer Street, just south of the Metra train station. 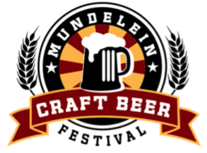 Mundelein’s 2018 Craft Beer Festival is slated to be bigger and better than ever. The festival is scheduled for June 9, 2018 starting at 1:00 PM and closing at 5:00 PM. We will gather again in front of the Mundelein Village Hall. There will be approximately 45 craft breweries, 2 bands, and food vendors. Each admission will be given a dated beer glass. Beer Fest T-shirts will be available for purchase. Advance check in will be available again this year. Two entrances will be available. The Mundelein Farmer’s Market is moving to Tuesday. The market will again be located at the Santa Maria del Popolo parking lot on Highway 45 between Crystal and Courtland. The parking lot has been repaved and striped. This year we will have space for up to 45 vendors. Children’s activities will be scheduled every week along with a featured organization such as the Mundelein Fire and Police departments, Department of Natural Resource trailer, and Old Number One fire truck. There will be food vendors and additional craft vendors. We hope to have a featured restaurant every week. Mundelein’s Lakeside Recreation Center recently hosted a ribbon cutting and a grand reopening to reveal a new and improved recreation center with activities for all age groups. Over the past several months, Lakeside Recreation Center, formerly Lakeside Lanes, has remodeled and expanded its activities. Now, it is the most comprehensive recreation center in Lake County. 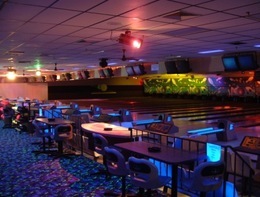 Fun activities for the entire family include: 24 bowling lanes with automatic scoring, bumper lanes for children, arcade, laser tag, video slot machines, rental rooms for events and parties, cocktail lounge, dockside dinner complete with weekly food and drink specials. “We are not your normal local ‘bowling alley’ any longer. We are a family entertainment destination,” explains John Wing, owner of the business. 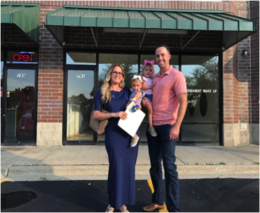 Glamtique—a specialized salon and clothing boutique designed to make customers look and feel glamorous recently opened its doors for business in Mundelein. Located at 791 S. Midlothian Road, Glamtique offers blow dry services for adults and children, organic air brush tanning, up-do’s, conditioning treatments, make-up application, waxing services, plus unique one-of-a-kind clothing and accessories to complete the luxury experience at affordable prices. “We look forward to serving clients who want to maintain their ‘just-left-the-salon’ look between their regular salon appointments explains Hillary Ruff, Owner. The Mundelein Community Connection Board of Directors is in the process of reviewing its membership categories, fee structure and member benefits. The objective is to streamline the membership categories, enhance the benefits of membership, and improve communications with members. Details of the changes will be announced soon, and posted on our website: www.mundeleincommunityconnection.org. Existing members are encouraged to renew their membership upon receipt of their renewal notification letter. Commensurate with finalizing the revised benefit structure, the Board will be launching its 2018 membership drive. Downtown Mundelein encompasses a large area with several distinct business neighborhoods. There are over 200 businesses—retail, professional, service, industrial, governmental and non-profit—and 200 residential units located downtown. 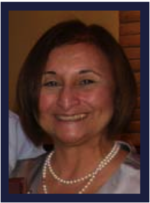 “The size and diversity of our downtown presents great opportunities for our community”; noted MCC President, Sybil Schecter-Kelly. “2018 is going to be a good year”, she said. “There are a lot of positive things happening downtown. The time is right to recommit ourselves to enhancing our existing programs, expanding events, adding members, and building on our successes”. Economic Development professionals agree that a city’s downtown is a snapshot of the vitality of the community as a whole. A vibrant downtown is a source of pride for residents, an attraction for visitors and a driver of economic growth and development throughout the city. Help make our downtown a center of community pride by joining Mundelein Community Connection.